Our commonly accepted acronyms on this website include F2P, B2P, P2W … and now P2L? “Pay to Loot” is a term coined by a couple of psychologists in an article in IGN today, referring to games that offer loot boxes as incremental rewards — say, leveling up — but also as sales in the game’s cash shop. I read through the piece and, to be honest, it seemed to try and lump a lot of games’ monetization methods into a single category and then pass judgment on the whole thing. The author even goes so far as to say that P2L is “subtler and, arguably, worse” than P2W because of the gambling-like addiction that can result from it. Someone needs to be reminded of what pure, unadulterated pay-to-win is like. Honestly, I don’t have too much of a problem with the monetization used in the games mentioned; Overwatch is the most heavily referenced. As long as they don’t affect gameplay, which would veer heavily into pay-to-win territory, and you have a way to farm up the boxes or currency in-game, I tend to be OK with things. 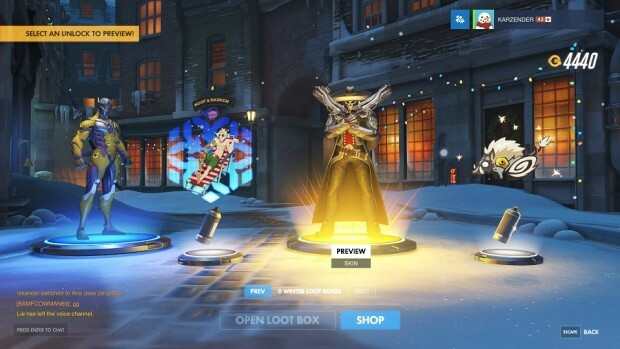 Also realize that, if a game like Overwatch did offer the ability to buy skins directly with cash, they would cost more than a couple of loot boxes. So yeah, it’s not perfect, but “pay to loot” is an aspect of monetization, especially in games that are free-to-play or have no sub fee, that I’m generally OK with, as long as there’s a reasonable way to get the stuff in game. I just don’t expect to own absolutely everything. And then you have to pay with real money to buy the key. getting a loot box is so far from Paying to loot… Paying too Lost is when That one game literally put a Cap on how much loot you could pick up in a day….